Business models are developed and managed to create value. While most business model frameworks envision value creation as a uni-directional flow between the focal business and its customers, this article presents a broader view based on a stringent application of stakeholder theory. It provides a stakeholder value creation framework derived from key characteristics of stakeholder theory. This article highlights mutual stakeholder relationships in which stakeholders are both recipients and (co-) creators of value in joint value creation processes. 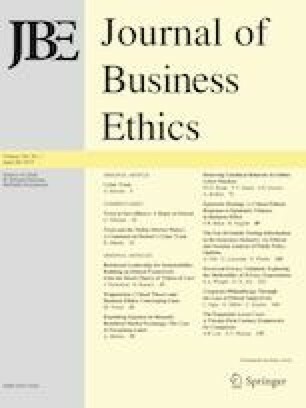 Key findings include that the concept and analysis of value creation through business models need to be expanded with regard to (i) different types of value created with and for different stakeholders and (ii) the resulting value portfolio, i.e., the different kinds of value exchanged between the company and its stakeholders. This paper details the application of the stakeholder value creation framework and its theoretical propositions for the case of business models for sustainability. The framework aims to support theoretical and empirical analyses of value creation as well as the management and transformation of business models in line with corporate sustainability ambitions and stakeholder expectations. Overall, this paper proposes a shift in perspective from business models as devices of sheer value creation to business models as devices that organize and facilitate stakeholder relationships and corresponding value exchanges. The authors would like to thank Iolanda Saviuc for her support in an early stage of developing the framework. Authors Birte Freudenreich and Stefan Schaltegger have received a research Grant (No 01UT1425D) from the German Ministry of Science and Education (BMBF). Christ, K. L., Burritt, R. L., Guthrie, J., & Evans, E. (2018). The potential for ‘boundary-spanning organisations’ in addressing the research-practice gap in sustainability accounting. Sustainability Accounting, Management and Policy Journal. https://www.emeraldinsight.com/doi/abs/10.1108/SAMPJ-06-2017-0059. Accessed 02 Feb 2019. Marine Stewardship Council MSC (2017). The MSC in numbers. Retrieved June 7, 2017 from https://www.msc.org/global-impacts/key-facts-about-msc?set_language=en.